Other than 2, 4, 11 and 12, None of us know what each division is meant to do, So with some free time, I came up with this. Division 1 - Head of all other divisions? It's pretty darn implied already but just not confirmed. Division 2 - Special Forces and Executive Millitia division. Division 3 - Guard Patrol? Gin seemed to be there when Jidanbo opened the gate pretty fast and if you're the captain of the guard for a place like Soul Society, I want to have a weapon that'll give me great range to just poke at you. Even Kira's zanpakuto isn't as dangerous as most others, Increasing the weight of your opponent's weapons would be a good stall tactic for being a guard. Division 5 - Tender Loving Care? No, No...Just joking, But to me with a captain like Aizen, This Division probably had a lot to do with maybe being a source of information transference, Plus Hinamori really doesn't look like she could ever do more than be an errand girl or message delivery girl. Division 6 - Military Police? This one is just going out there but I can picture Byakuya, Being as cold and decisive as he is doing good work at having his subordinates be the "patrol" of soul society as well as go out into the real world and bringing back in Shinigami who've broken the law for staying in the real world too long. Division 7 - Disciplinary and Transfer? Now I'm really going out on a limb here, But this just fits the idea I have of Division 7. A division full of either transferred shinigami (Iba) as well as odd shinigami (Komamura) and then that idiot 4th seat (Jirobo) did have a discipline problem when it came to just repeatedly attacking and not thinking things through. Plus I love the idea of whenever the division acts up, Komamura just smashes Tenken's Shikai fist down to shut everyone up. Division 8 - Book Keeping? Big guess here, I take this guess only because Nanao seems adept at being a book keeper and being organized. Plus she must have something important in that big book she carries around most of the time. Plus I love the idea of her getting fed up with Kyoraku and knocking over a book shelf onto him. Division 9 - Combat Resolution division? Another big guess. Only reason why is because of the previous Captain, Kaname Tousen and I could see him in the role of a division like this. Plus Shuhei Hisagi seems pretty down-to-earth and it's public that he failed the entrance exams twice but is just very talented which is why he is where he is. Division 10 - With the help of Hitsugaya-taicho, This division can now be called the Investigation division under this list of theories. Division 11 - Combat division. Division 12 - Research Institute. Division 13 - Living World Deployment division? I know the Kido corps are the fuel source behind the Senkaimon but no other division felt right for this sort of title other than the one Rukia is in, Plus what other use is there for a sickly captain? Don't want blood coughed on paperwork and he seems too nice to be a disciplinary captain. Discuss, Heck, Flame me if you want for some of the theories I've pulled up. I just wanna hear some theories from the rest of you. Each Division doesn't necessarily specialize in one thing or another. While it's true most of the strongest fighters go into the eleventh and the fourth specialize in healing and support, that doesn't mean each and every division is specialized for one thing or another. Well they do have to put every new shinigami in the best fitted division right? They don't pull numbers from a hat, I doubt. 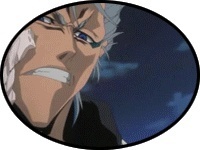 Kubo Tite just hasn't made them known, like most zanpakuto. And I think every captain has paper work, cuz when Aizen 'died', Toushiro got his paper work, so he had more. And Byakuya is seen in his office doing paper work in a few of the Golden Cups. Division 10 seems to be like the investigation as he was picked to lead the investigation on the bounto in the human world then was picked to look around again when they came to soul soliety. Just my speculation. It is hereby changed now that division ten, In this list of theories shall be the investigation division. They all fall under the "Ice Cream" division. DIVISION 6 = Softserve division/fail at their job. DIVISION 3 = Vanilla Icecream failure division (nobody likes this flavor anymore). DIVISION 11 = GET BEAT UP BY ICHIGO AND HIS FRIENDS DIVISION/IN CHARGE OF THE RAINBOW SHERBERT. Division 2 just likes to run around in ninja costumes. >_> They don't really do anything else. >_> YOU ALSO LIKE EXTORTING DVDS FROM PEOPLE YOU MERCILESSLY ABUSE. I like Vanilla. Its a good base flavor, giving a richness to the toppings you might employ. Its versatile. And vanilla is the ce cream used in floats, you weirdo.